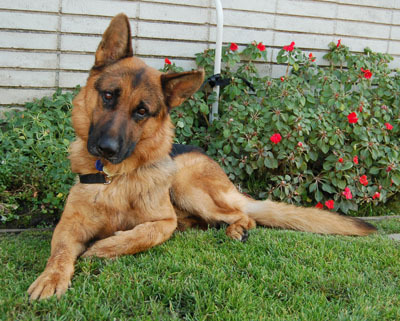 Rommel von Lancaster is a stunning black and red 2 year old German Shepherd. 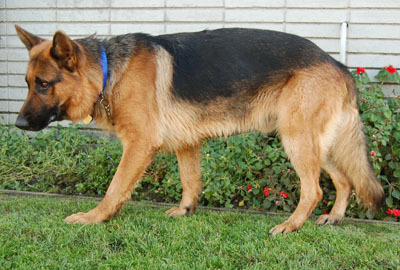 The black and red Shepherds are popular in Germany; he also has a tattoo like many of the imports do. 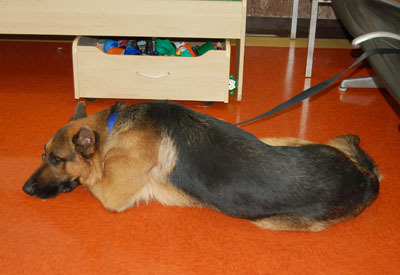 Rommel is good with other dogs and even seemed uninterested in cats. 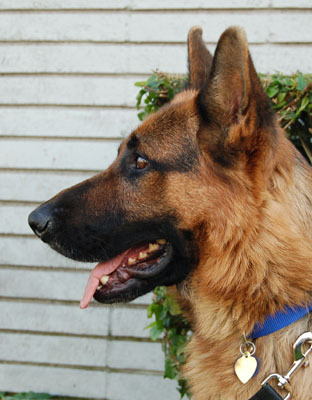 He has a mild temperament and is very well behaved. 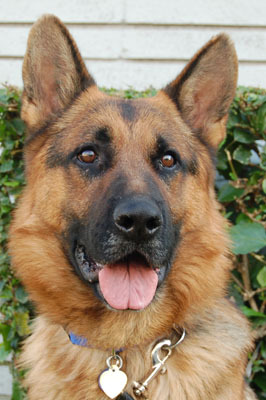 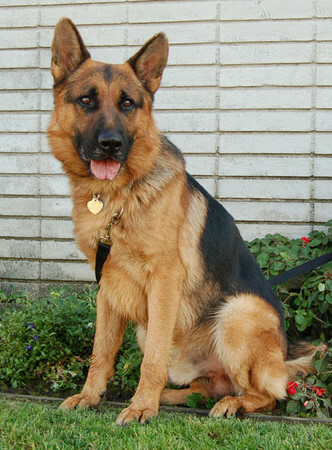 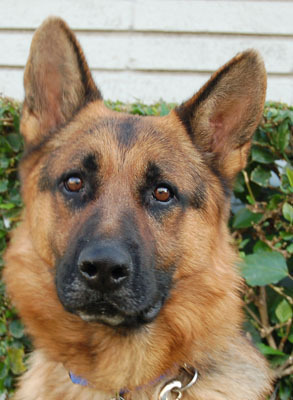 Rommel is a very high quality dog, he seems to have been well treated and trained. 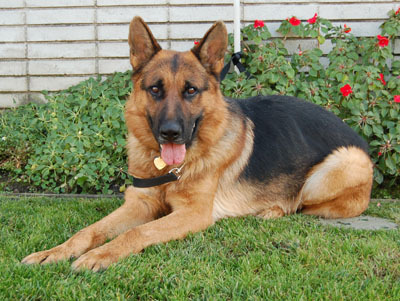 He also is used to riding in the car .He was lost in an area with many breeders. 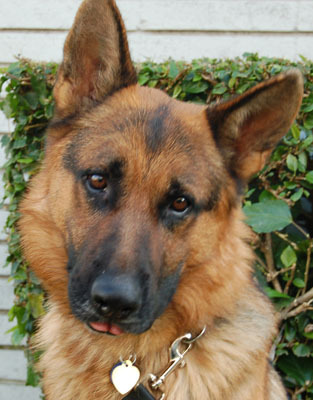 Rommel is an incredible dog.